These freestanding glass block wedge awards are made in clear glass and feature an asymmetric 'chipped edge' design. 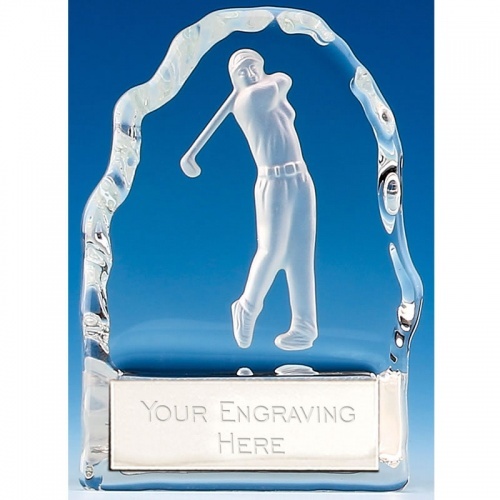 The interior of these flat-fronted awards is inset with a 3D laser engraved motif of a male golfer figure. 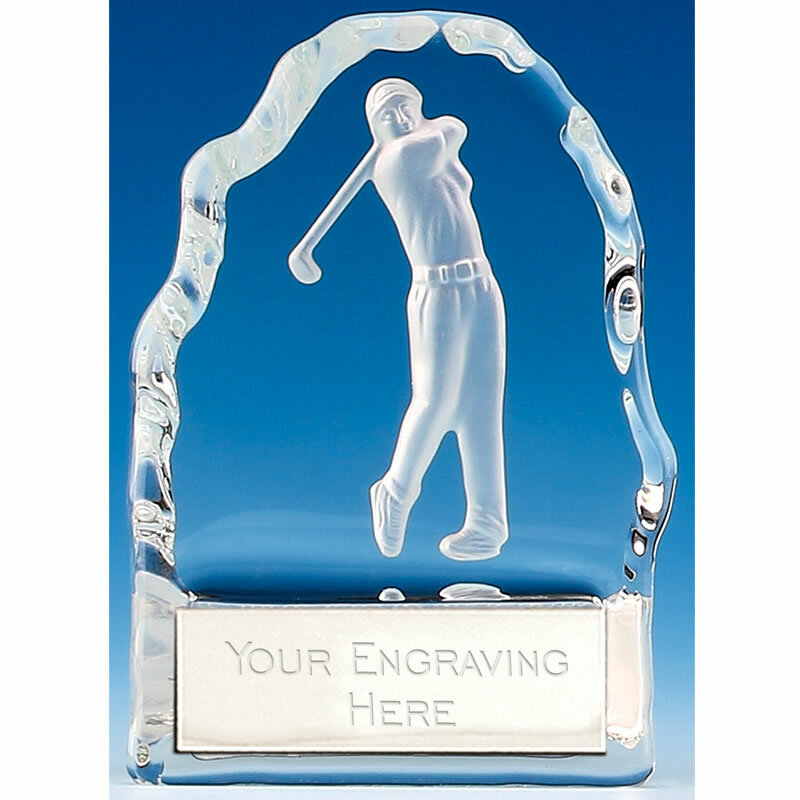 They stand 4.25in (10.5cm) tall and include an engraving plate for you to customise your 'Echo' golfer glass wedge trophy. Supplied gift boxed.